Building the dam was a mammoth construction project. He tried to read books of real worth. I enjoyed the book so much that I read it all in one sitting. Our teenage sons can finish a whole turkey at one sitting. How much research can you get done at one sitting? He sometimes reads a whole novel at one sitting. She can go through a whole box of cookies in one sitting. 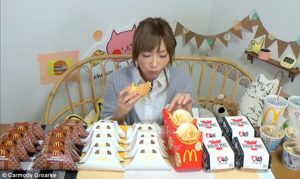 A tiny Japanese woman has put her own spin on the Thanksgiving gorge-fest by wolfing down more than 10,000 calories worth of McDonald’s. 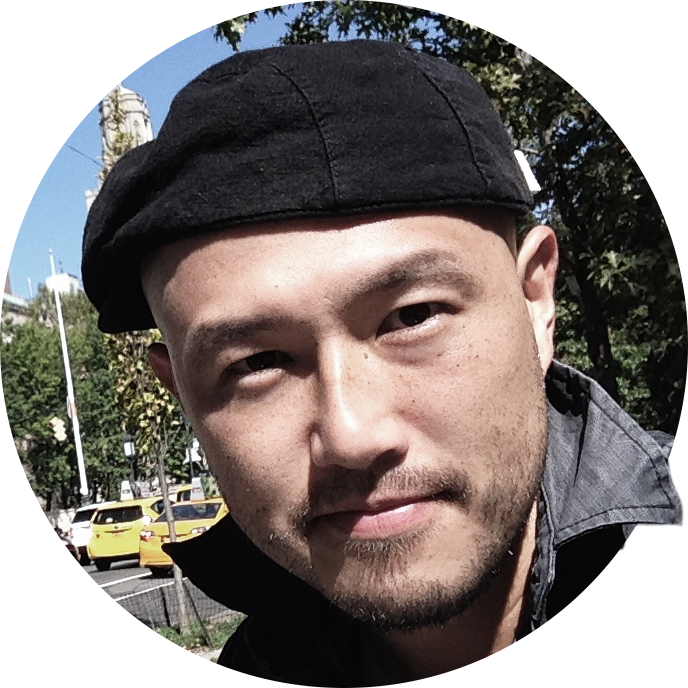 Yuka Kinoshita, 32, sat down with five burgers, three large fries and a staggering 23 desserts with three large Cokes to wash them all down. She gives a running commentary of the feast, which was 10,642 calories in total, and despite struggling slightly after her fourth hamburger, she valiantly finished the feast. They have tried to put a positive spin on the situation. This report puts a different spin on the issue. The mayor tried to put a positive spin on the damaging polls. She sat in front of the television, gorging herself on chocolates. If you gorge yourself on snacks like that, you won’t eat your dinner. We gorged ourselves on fresh sardines and salads. He wolfed down lunch in five minutes. The girls wolfed down the pizza in minutes. The boys wolfed the sandwiches (down) and then started on the cake. She was eating bread and cheese and washing it down with iced tea. He had a large slice of pizza washed down with beer. “What a feast!” she said, surveying all the dishes on the table. We had a feast of fresh seafood. The slight Japanese super-eater makes light work of the huge meal and even has the energy to give a detailed review of her enormous feed at the end. Kinoshita has amassed 3.6million subscribers to her YouTube channel where she uploads daily videos of her eating prowess. She tackles the McDonald’s challenge by eating a burger and some fries followed by some desserts before repeating the sequence. In front of her, lined up on a table, are the five Kalbi Mac burgers – a Japanese variation of the traditional Mac – the fries, drinks, and ten dark chocolate pies, ten white chocolate pies as well as three tiramisu McFlurrys. Like most long-distance runners she is very slight. Willie Thorne made light work of his opponent to earn a place in the last 16. You made light work of that chocolate cake (= you ate it quickly)! Some of his colleagues envy the enormous wealth that he has amassed. The mobile phone companies compete with each other to win new subscribers. Cable television companies have launched major campaigns to increase their number of subscribers. After the fourth burger she tells the camera her jaw is hurting, but soldiers on to finish all her savoury food. With 12 sweet pies remaining, she uses the McFlurrys as a dip and rattles through the rest of the feast. On her videos, she eats anywhere between 5,000 and 23,000 calorie meals. As of November 2016, her videos have been viewed more than 680 million times. I admired the way she soldiered on when her business ran into trouble. We’ll just have to soldier on till we finish the job. A pie can be sweet or savoury. I’m going to rattle through my work today so that I can go home early. He rattled through the list of countries he had visited.